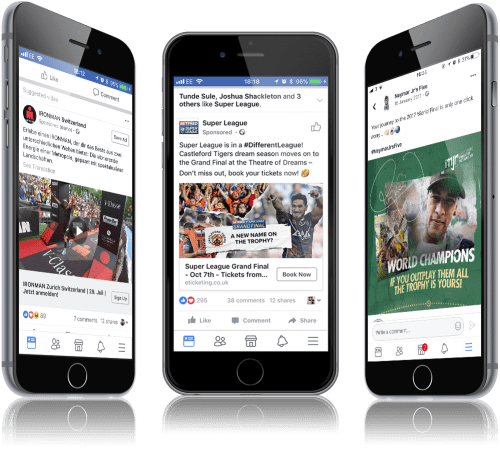 After a number of successful OTT campaigns, WePlay were appointed by Premier Sports, the home of Guinness PRO14 Rugby, to develop an integrated creative and digital customer acquisition campaign. In this season-long campaign, set to end in June 2019, our objective is to drive the maximum number of paying subscribers to the newly formed Premier Sports network and creating awareness of Premier Sports in territories where there is little visibility. We developed a strategy based upon analysis of historical data, current media insights, and trends to define buying cycles, audience segments, messaging and key channels to utilise. Creative followed with awareness, consideration and conversion messaging developed to drive the funnel. A mixture of static, animated and video creatives were developed and executed in a multi-variate testing approach across social, search and display channels. We’re mid-way through the activity and the interim results are showing the strategy to be a great success, with impressions already exceeding initial KPI’s, reducing CPA’s on previous activity and a ROAS of 500%.